City Bank is one of the oldest private Commercial Banks operating in Bangladesh. It is a top bank among the oldest five Commercial Banks in the country that started their operations in 1983. The Bank started its journey on 27th March 1983 through opening its first branch at B. B. Avenue Branch in the capital, Dhaka city. It was the visionary entrepreneurship of around 13 local businessmen who braved the immense uncertainties and risks with courage and zeal that made the establishment & forward march of the bank possible. Those sponsor directors commenced the journey with only Taka 3.4 crore worth of Capital, which now is a respectable Taka 330.77 crore as capital & reserve. that has more then 500 ATMs in place; SMS Banking; CustomerCallCenter is going to start operation. The bank has a plan to end the current year with 50 own ATMs. City Bank is one of the largest corporate banks in the country with a current business model that heavily encourages and supports the growth of the bank in Retail and SME Banking. The bank is very much on its way to opening many independent SME centers across the country within a short time. The bank is also very active in the workers’ foreign remittance business. It has strong tie-ups with major exchange companies in the Middle East, Europe, Far East & USA, from where thousands of individual remittances come to the country every month for disbursements through the bank’s large network of 87 online branches. The current senior management leaders of the bank consist of mostly people form the multinational banks with superior management skills and knowledge in their respective “specialized” areas. The bank this year, is celebrating its 25th year of journey with the clear ambition of becoming the no.1 private commercial bank in the country in 3 years time. The newly launched logo and the pay-off line of the bank are just one initial step towards reaching that point. To attain highest level of customer satisfaction through extension of services by dedicated and motivated team of professionals. To maintain continuous growth of market share ensuring quality. To maximize bank’s profit by ensuring its steady growth. To ensure participative management system and empowerment of HR. To maintain the high moral and ethical standard. CBL is one of the fastest growing banks in Bangladesh. Now Finacle 87 branches are operating all over Bangladesh. The network of CBL engages itself for providing best quality banking service in retail, commercial, corporate and Islamic banking segments. The country’s top enterprises, multinational and local corporations and financial institutions are served by CBL. With a total asset of BDT 48,755 million, CBL is among the top performing local banks in Bangladesh. In March 1983, the City Bank Limited opened its 1st branch at Foreign Exchange Branch in Dhaka. It has a total of 21 employees. The workforce is very cooperative both to each other and to the clients. It is expected that soon it can be counted among the best five branches of the City Bank both in terms of profitability and operational efficiency. Receiving cheques for clearing, transport and dispatch. Issuance of TT (Telegraphic Transfer), PO (Pay Order), DD (Demand Draft), etc. Opening and maintaining FDR and other scheme deposits. Closing and transfer of accounts. Maintaining the lockers of the bank. Outward clearing of IBC and OBC. This department is responsible for cash payment and receipt. The employees in this department are also liable for computer posting, passing cheques, PC Bank Management and accuracy of posting, balancing on-line accounts, etc. Meeting the requirements of existing and potential customers. Meeting the requirements of Head Office and customers of General Credit to cooperate with other departments for smooth operation. Preparing credit proposal and statement. Recruitment Policy of City Bank Limited (CBL) is formulated to ensure an efficient and transparent recruitment process for the bank. Human Resources Division is responsible for all recruiting activities. Line manager and divisional head will be consulted at different stages of recruitment process by HR. Strict confidentiality will be maintained by the concerned personnel involved with recruitment process. 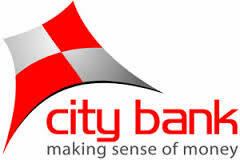 The recruitment policy of City Bank is dealt fairly, uniformly and consistently. City Bank will provide equal employment opportunity for all regardless of race, color, religion, gender, age, disability or any other factor that does not pertain to the individual’s ability to do the job. Individuals between the age of 18-57 years can be hired as regular employee of City Bank. For contractual employment the age should not exceed 65 years. Any vacancies of City Bank will be communicated both externally and internally in the relevant media to ensure transparent and equal opportunity for all to apply against the position. Efforts are made to attract the best talents based on their qualifications and skills required for the specific opening. The hiring process will be driven by the approved Head Count budget of City Bank. The qualifications required from the potential candidate will be collected from the division through a job requisition and from the role profile of the specific job opening. Individuals joining at Management Trainee & Officers (fresh, without prior experience) level at City Bank have to have a graduate degree, completing four years of graduation in any discipline from UGC approved universities of Bangladesh or renowned universities from abroad. Individuals who have completed B.Com or the likes (less than four years of graduation) will need to have a post graduate degree in order to be eligible to apply for the above mentioned posts. However candidates who have done only graduation (below four years) will be eligible to apply for junior officer/Cash officer. While requesting for filling the replacement of existing vacant position or new position, the concerned division will need to fill up a Recruitment Requisition Form and obtain necessary approval from divisional head before sending the same to HR. No recruitment will be processed without receiving recruitment requisition from the concerned division and the requisition must be made for approved head count. Candidates applying for all temporary and officer position at City Bank will have to go through a written test with pass mark of 45%. For candidates applying for the position of senior officer and above, written test is not mandatory however can be taken at the discretion of Human Resources Division and the line manager. An interview board will comprise of minimum three members who should include one member from HR and one from line division/department and one cross functional. Head Count Planning in CBL must be a part of the bank’s overall business plan. It will start as soon as approved business plan is received. For all new positions there should be budget approval. The head count plan for every division should be developed by analyzing pertinent factors including potential/expected workload and expertise requirements and ensuring the optimum and effective utilization of the Human Resources for the entire bank, both for current and future requirements, forecasted employee turnover/employee mobility and any potential transfer, promotion or any such relevant factor. Persons who are employed with another organization must provide clearance/release letter in letterhead to HR at the time of joining with City Bank. Resignation acceptance letter can also be accepted to expedite the joining process, however the release letter will need to be collected and submitted to HR. The Bank believes that appropriate forms of training and enabling opportunities contribute to Human Resources Development by the way of upgrading the job skills, existing potentials and growth which benefit employee and the organization. For this purposes, the Bank helps employees to develop their skill and knowledge therefore improving their contribution to the Bank. It is recommend that each employee should have opportunity to upgrade their knowledge and skill through HRD interventions which could include training, workshops, exposures, exchange visits and any other form of development opportunity provided by the Bank. Employee’s development need areas should be identified and agreed with the Branch Manager/ Division Head as TNA (Training Need Areas) during the Performance Management system (through Annual appraisal) each year and monitoring of the work of the employee by his/her Branch Manager/ Division Head. All training using the Bank’s funds or time is subject to the organizational need and should be within the budgetary level. Employee Development/ Training Need Assessment are a continuous process and should de done prior to formulation of yearly budget. Each Unit and Department will draw up a yearly Training Plan and Budget at the time of budget preparation. The training plan includes the training of employee as individual and organization level. Employee’s desk performance/ drive/ commitment to job. Probationary employees are normally not eligible for a long workshop or training courses (longer than 1 week) except the Induction/ Orientation and Foundation training provided by the Bank. Any exception to this should be approved by the MD. The year 2010 was an extraordinary period for Bangladesh because of the challenges faced from the impact of the sudden fall in the share market. Despite the challenges, the year was another successful year for the banking industry in Bangladesh and the bank has managed quite successfully. The bank ended the year with a steady growth and the market share was retained in all areas of operation. Annual Report 2009 of the City Bank. Statements of affairs (daily), City Bank, Foreign Exchange Branch. Interview with the Credit In-charge of City Bank, Foreign Exchange Branch. Interview with the senior officers of City Bank, Foreign Exchange Branch. Interview with the Head of Sales AMEX Card, the City Bank LTD.
Organization Development by Wendell L, French Cecil H, Bell, Jr.
Human Resource Management by Dessler.